What's the single most important process determining whether or not your coaching business is successful? The correct answer to this question can completely change your coaching business forever. It can change your perception of your business. It can change your focus in your business. It can change how you go about operating your business. And most importantly, it can determine the success or otherwise of your business. We asked dozens of coaches this question and got a broad array of responses. But only 4% of them were even close to the mark! Most coaches answered: quality service; number of clients; pricing; branding; advertising copy. ...And whilst all these issues are critical, the single most important process is your marketing methodology. Whilst you must have all the other elements as well, it's your marketing methodology that ultimately determines the success or otherwise of your business. Nearly all coaches use a marketing methodology that's a sales-based marketing methodology. This is understandable as most traditional marketing methods teach sales-based marketing methods. We're all impacted by sales-based marketing at every turn - on TV, newspapers, magazines, billboards, radio - everywhere. And when coaches research marketing methods, they are most likely to learn about traditional sales-based marketing methodologies - print ads (in newspapers, yellow pages, journals, magazines etc), direct telephone calls, radio, flyers, direct mail letters, etc. Most coaches invariably feel uncomfortable delivering a 'sales pitch.' Coaches generally have better technical skills than marketing skills. They're therefore uncomfortable talking about themselves and endorsing the quality of their product. This means they don't close, and comes across to prospects as a general lack of confidence in themselves, and their product and service. Sales marketing is extremely expensive - narrowing your net margin on your service. The more you spend to get a client the less net profit you'll retain at the end. Generally people are very skeptical and defensive against sales approaches. This exponentially increases the barrier of making a sale. When you employ a sales-based marketing method, most prospects have already closed themselves off to learning about your services due to their natural tendency to put up a defence against sales-based marketing. There is no trust and rapport built through a sales-based marketing approach. For a prospect to buy from you, there needs to be an element of trust. Your prospect needs to trust that you can deliver on your promises and that they'll gain a positive return on their investment. This level of trust is extremely difficult to build through a sales-based marketing approach. You build no reciprocal obligation on the prospect to investigate your offer or purchase from you. It's a natural human tendency to reciprocate in kind what's been given to you. You can not build reciprocal obligation through sales-based marketing. You attract price sensitive shoppers and 'tyre kickers' that take up a lot of your time and result in extremely low conversion. It's difficult to maintain contact with prospects for long enough to build rapport and trust - it generally takes 4 to 6 contacts before a prospect will buy from you. So, we can hear you shouting "If sales-based marketing is not going to be effective, what's my alternative to get clients?" And the answer is... Education-based Marketing. Education-based marketing is simply the process by which you attract and convert highly-qualified clients by giving them what they want - valuable information and advice that solves their problems - and removing what they don't want, a sales pitch. 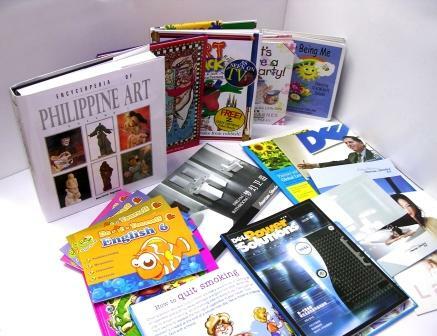 Education-based marketing is generally undertaken by delivering Credibility Marketing techniques such as public speaking, information based teleclasses, publications, networking, hotlines, free educational give aways (such as reports, assessments, tools, ecourses), etc. - You give your prospect what they really want - highly valuable information. And you take away what they don't want - a sales pitch. - You maintain your dignity and feel good about yourself as you never make an effort to sell. - Your brand recognition and respect will skyrocket! Education-based marketing is the ultimate brand builder. By positioning yourself as the 'expert' or 'specialist' by solving, through your education products, the most pressing issues your niche confronts. You become the only logical choice in your market. - You can establish yourself as a credible authority as prospects depend on you as a reliable source of valuable advice. - You significantly reduce your marketing costs - and can in fact get paid to market yourself. This vastly compounds the net worth of every client you attract - you can actually earn double the net profit with only half the clients!